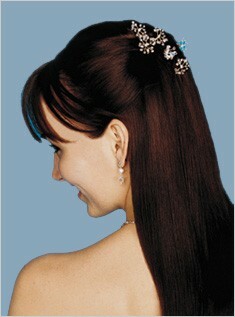 Now that the winter months are here, you don’t have the same worries about how to wear your hair as a summer bride. You can let your hair down– even add extensions– without worrying that your long hair will make you hot, or that the locks around your face will get sticky and sweaty. There’s nothing worse than frizzy, straggly hair! But in the cooler months, you can be sure that straight hair will stay smooth, curls will stay sleek, and the longer and heavier your hair, the better! Here are some beautiful down-do’s (and amazing hair accessories!) to consider for your winter wedding! While some may resemble more beachy summer hair, these styles have a more polished and sophisticated style. All photos from The Knot. 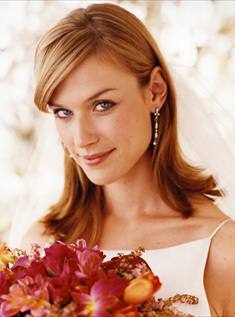 Click on any image to take you to The Knot’s wedding hair photo galleries. 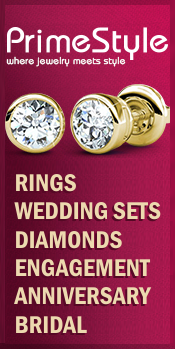 « Save Big on Couture Bridal Gowns & Accessories!